Taco night has a new meaning in my house. My husband is not a huge taco fan but he does love burgers. I love tacos I was trying to find a way to combine both without losing any flavor. My new Sous Vide has helped me come up with the perfect Taco Burger. 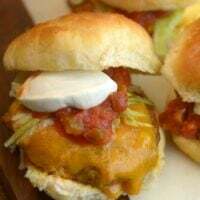 Bursting with taco flavor a big juicy burger done to the perfect doneness medium rare. I think this is my new go-to meal for Taco Night. Another great Sous Vide meal is Chicken Fajitas and the Starbucks copycat Egg Bites for breakfast is just perfect. Directions: Mix together ground beef, eggs, and taco season packet. Shape (6) 1″ Patties with about 1/4 pound ground beef. Press a piece of cheddar cheese into the center of each pattie folding the ground beef around the cheese. Place 2 patties in your ziplock baggie. Immerse in preheated hot water bath. Cook according to the doneness you selected. When done remove patties from baggie and Sear in a cast iron skillet or right on your grill about 2 minutes on each side. 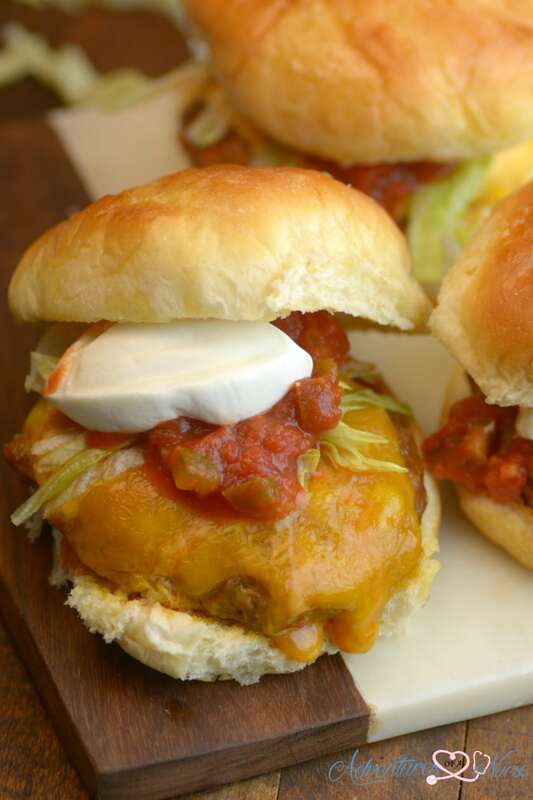 Top each burger with more cheese, salsa, and sour cream serves on a toasted bun. Mix together ground beef, eggs, and taco season packet. Shape (6) 1" Patties with about 1/4 pound ground beef. 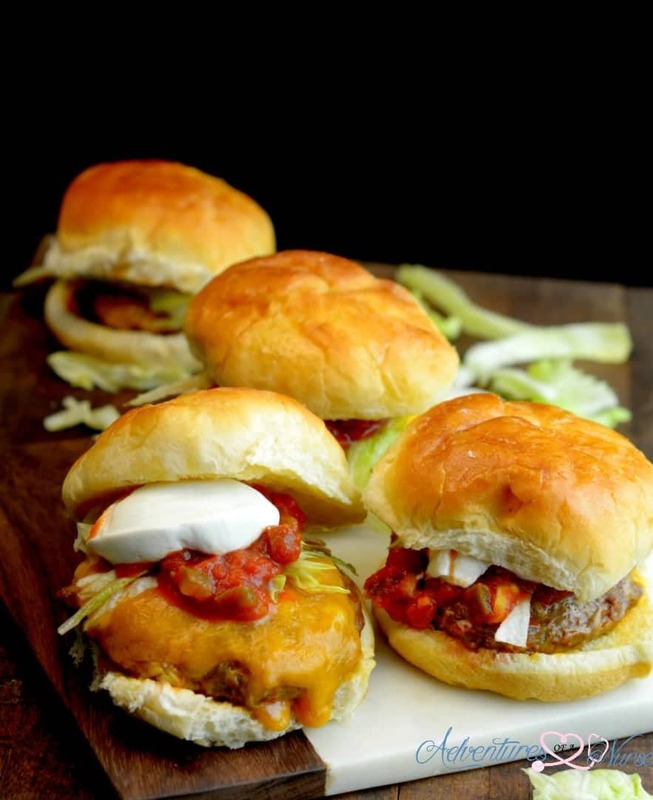 Press a piece of cheddar cheese into the center of each pattie folding the ground beef around the cheese. Place 2 patties in your ziplock baggie. Could this be prepared up to the part before you sear the meat and then freeze it? Thank you in advance.